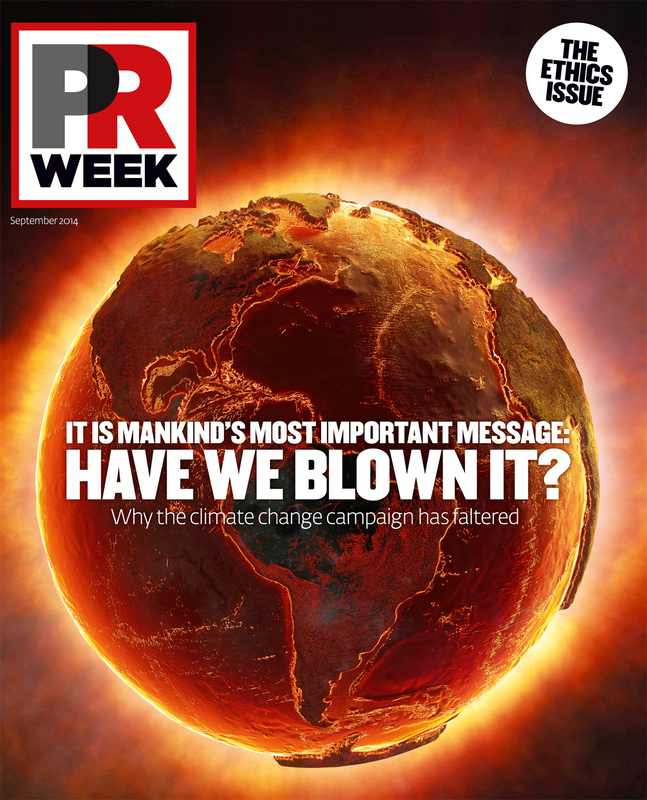 In this special report PRWeek focuses on the climate change debate from several viewpoints. Our main feature on this page covers why mankind’s most important message has faltered. Accompanying content includes viewpoints from the editor-in-chief, those on either side of the climate change debate and SABMiller director of corporate affairs Catherine May. The role of brands in the future of the planet also comes into focus in our profile of counter-cultural magazine Adbusters’ founder Kalle Lasn and a contribution from The Futures Company executive chairman J Walker Smith. Interviews with the editor of The Ecologist, Oliver Tickell, and the managing director of UK-based jeans company Hiut and founder of eco-friendly clothing brand Howies, Clare Hieatt, complete the coverage. Global warming is a potential catastrophe for mankind and the planet. So why are warnings about climate change not being heeded? Claudia Delpero investigates. The overwhelming consensus among scientists is global warming exists and temperatures will rise by at least two degrees over the next 80 years. The consequences could include rising sea levels, widespread flooding, displacement of millions of people, disease, drought, crop failure and species extinction. It is a depressing vision that threatens the wellbeing, affluence and perhaps even existence of mankind. So you might think we would be heeding messages about the dangers of global warming. Yet the evidence is that they seem to be falling on deaf ears. Our behaviour certainly has not changed much: the carbon content of our atmosphere has risen by two per cent since 2010 alone. And attitudes, the precursor to action, still have some way to go. According to NASA, 97 per cent of scientists agree the climate is very likely to be warming due to human activity, while an Ipsos Mori survey this July revealed a significant number of people in the US, UK and Australia (32, 24 and 25 per cent respectively) still do not believe this. No wonder that in a speech at Imperial College London in April, Paul Polman, CEO of Unilever, said that "the gulf between scientific reality and the public debate must seem unbridgeable". So what happened to all those climate change warnings that were so ubiquitous and seemed so pressing just a few years ago? Have we blown arguably the most important piece of communication we as a species have ever had to send or receive? Much of the responsibility for the "gulf bet­ween science and the public debate" must lie with those who do not believe in climate change and who, for a variety of reasons, have successfully muddied the waters. 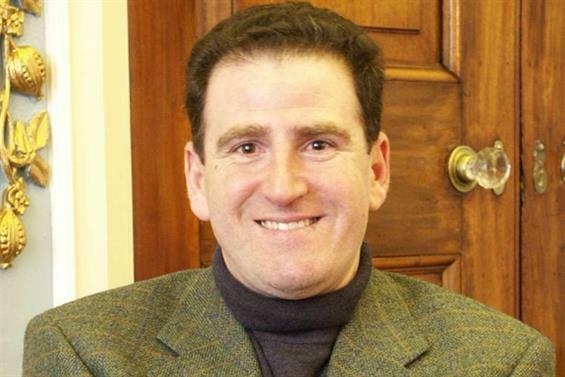 Some have an ideological aversion to the state intervention needed to add­ress climate change. 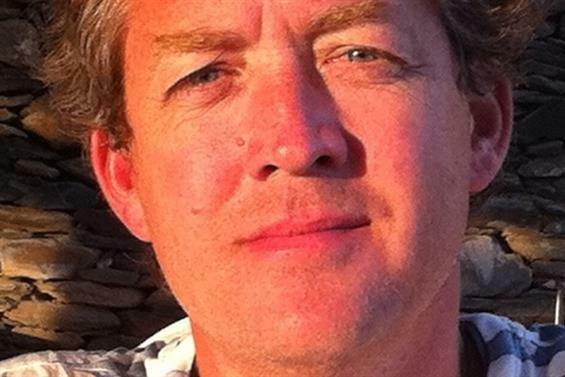 Some do not like the res­traints on their behaviour that climate change would require. Others are simply contrarians. According to an analysis of climate change rep­orting in six countries by the Reuters Institute of Journalism and Birkbeck College, ‘deniers’ are almost exclusively represented in the US and the UK. This may explain why in Ipsos Mori’s Global Trends, a survey across 20 countries, the US, UK and Australia are at the top of the list for the percentage of people doubting global warming is man-made. The analysis also found that in these countries a particularly high proportion of climate coverage consists of opinion pieces rather than news content. This creates the impression that the scientific community is divided. It also transforms science into politics, a PR tactic used in the past against regulations on smoking, acid rain and the ozone layer, argue Naomi Oreskes and Erik Conway in their 2010 book Merchants of Doubt. Concern about the ability of deniers to confuse the debate has become so acute that over the summer the US-based Climate Investigations Center decided to research the role of PR agencies in climate policies. Of 25 PR agencies contacted, fewer than half (Weber Shandwick, Waggener Edstrom, Text100 Corporation, Finn Partners, Qorvis Communications, Ogilvy Public Relations and the ent­ire WPP group, and later Edelman) said they would not take campaigns that deny man-made climate change or hinder regulations to limit carbon pollution. These campaigns would breach the codes of conduct of business associations such as the International Public Relations Association or, in the UK, the Chartered Institute of Public Relations. "The obligation most of the national codes place on accuracy has a precise meaning when it comes to representation about settled scientific facts," says Bill Royce, senior vice-president for cleantech, energy and sustainability at Weber Shandwick. 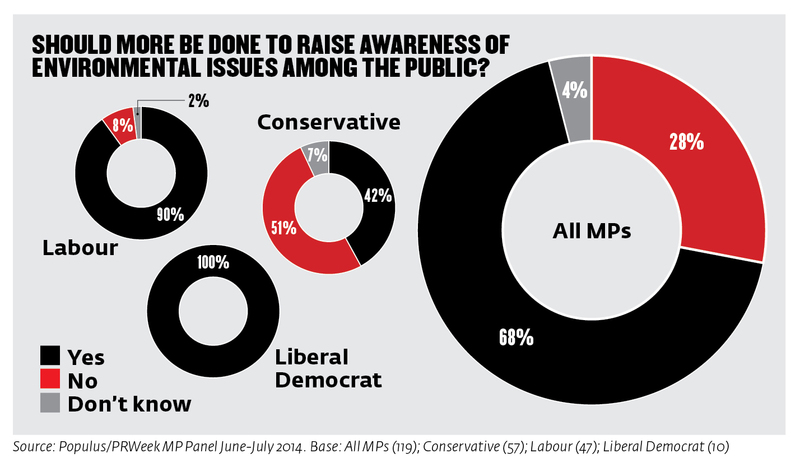 The PR sector is not the only one questioning the ethics of climate change denial. Ironically it is also fuelled by a deeply ingrained journalistic belief in fairness and impartiality. In July the BBC Trust said 200 senior staff had been sent to workshops on impartiality of science coverage, after a review of the BBC climate reporting concluded the "non-contentious" nature of climate change had not been taken into account, giving disproportionate airtime to climate sceptics. But global warming has not always been so divisive. Since the 1960s, when the first reports on the effects of greenhouse gases were produced, climate narratives have been largely shaped around scientific findings. Interest grew in the 1970s, the decade of the oil crisis, the 1972 United Nations Conference on the Human Environment in Stockholm and the birth of the environmental movement. By the 1980s, there was a consensus that the planet was warming and the Intergovernmental Panel on Climate Change was created to provide scientific assessments to policy makers. The deb­ate culminated in 1992, at the Earth Summit in Rio, with the signature of the Framework Convention on Climate Change, the basis for the Kyoto Protocol with emissions reduction targets for industrialised countries. Come the 1990s climate change was still not a partisan issue. Margaret Thatcher was the first world leader to address global warming, George Bush Senior signed the Framework Convention and BP acknowledged that warming is caused by humans (a position held to date). 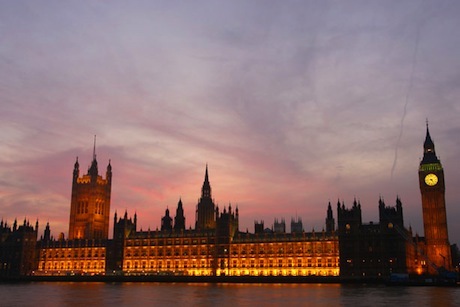 The discussion escalated again in the late 2000s with the Stern Review, a report commissioned by the British Government from Sir Nicholas Stern, a former chief economist and senior vice-president of the World Bank. Published in 2006, the report traced the possible impacts of climate change on GDP, shifting the focus from the environmental to the economic aspects of the problem. The next year, former US Vice-President Al Gore toured the world to raise awareness of the climate crisis with the documentary An Inconvenient Truth. For this he was awarded, with the Intergovernmental Panel on Climate Change (IPCC), the 2007 Nobel Peace Prize. "There was a real interest at that time and the UK, with the 2008 Climate Act, was at the forefront of the debate," says Isabel Hilton, founder and editor of Chinadialogue.net, a news site created to put in perspective the climate change narratives of the US and China. The scene seemed set for a global agreement to replace the Kyoto Protocol, at the UN climate summit in Copenhagen in December 2009. Then two major setbacks occurred. In November 2009, hackers accessed the servers of the University of East Anglia (one of the most prominent institutions in climate science). Private emails and documents were leaked suggesting that scientists had manipulated data. Eight inquiry committees found that no irregularities occurred, but in the meantime ‘climategate’ was making headlines, casting shadows on scientists and, again, sowing doubt. Add in the worst financial crisis for decades and the momentum built for Copenhagen was gone. "The debate was not about the climate, but about economic competitiveness. With the financial crisis in 2008, we knew that Copenhagen was dead," admits Charlie Kronick, senior climate adviser at Greenpeace. At the summit, with scientists discredited and European countries (which led on the Kyoto Protocol) paralysed by the crisis, the stage was left to the US and China. President Obama, after promising an environmental presidency in his election campaign, failed to align countries around a binding agreement. China, despite its eagerness to be seen as a responsible global player after the Beijing Olympics, was the major block and ended up taking the blame. Portrayed as the last chance to save the planet, the conference was a policy failure and a PR disaster for all. Except, of course, for big polluters and climate change deniers. However, another narrative was taking shape, this time driven by the private sector, as corporations started waking up to the long-term implications for their businesses of global warming. In 2010, Unilever launched the Sustainable Living Plan, a blueprint for business growth in a warmer and resource-constrained world. The most cited example of climate-proof business strategy, the plan moved climate change from CSR departments to the core business and changed the relationship with external audiences. "Our firm depends on agriculture, raw materials, water and fisheries, so climate change is a huge issue for us," says Thomas Lingard, Unilever’s global advocacy director. "We communicate our vision through the supply chain, as well as with the Government, and we are active in corporate leadership groups." For consumers, the plan is marketed through Project Sunlight, an online platform developed with Edelman and Ogilvy to present products through the lens of sustainability. "We talk about what consumers care about and what is relevant in everyday life, like food," says Lingard. Other companies, such as Walmart, Coca-Cola, Google, Apple, Tesla and Swiss Re, are vocal about climate change and their pursuit of sustainability, and this is also changing PR. Futerra, an agency specialising in sustainability comms, decided in 2010 to focus on business models rather than purely on comms. "It is an internal challenge, moving climate change from the comms brief to the core business," says co-founder Ed Gillespie. "This is where the big ideas are." "Ten years ago the conversation on climate change was about jobs and growth; now it is about smart business decisions and opportunities to make markets more dynamic," adds Eduardo Goncalves, director of comms at The Climate Group, a non-profit body working with corporates to promote low carbon energy and technology. It plans to launch an online TV channel to give business leaders a platform to discuss these issues. A recent report by McKinsey reveals that today CEOs are twice as likely to cite sustainability as their top priority as they were in 2012, and reputation is the main driver. However, the report concludes: "Their companies are not pursuing the reputation-building activities that would maximize that financial value." But even with business behind it, the climate change message still faces a set of problems that are limiting its ability to be heard clearly. First, it is difficult to distil a complex subject like climate change into simple messages and scientists have not made the task easier. "Scientists are sensitive to the oversimplification and the sensationalising of their work," explains Jonathan Lynn, head of comms at the IPCC. In the past, he adds, the IPCC did not even produce press releases because spotlighting specific aspects of the reports could have proven controversial. Another complication is that questioning is part of the scientific process even though this creates room for doubt that can be exploited. "No one exp­ected the emergence of a well organised lobby of climate change deniers that used every tool in the pol­itical book to confuse the discussion," says Royce. One great strength of climate change denial is that it cosily posits a future where it will be business as usual. That is a much more attractive message than the armageddon of climate change. 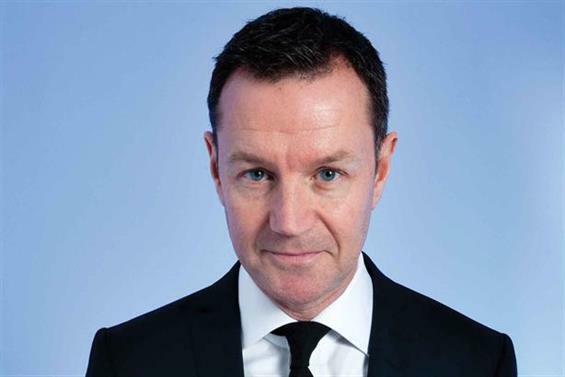 "The message of climate deniers has been easy and comfortable, as it relieves people of res­ponsibility," says Tim Duffy, chair of advertising agency M&C Saatchi. Third, negative messages have made the debate impersonal and abstract, disengaging people and therefore governments. In hindsight, suggests Christian Teriete, comms director at the Global Call for Climate Action, "too much focus has been placed on numerical targets and UN policies, creating the idea that climate change is happening elsewhere in the future, not here and now". And behind all this lies perhaps the most difficult issue of all: the universal tendency of human beings to discount the future. The environmentalist and anti-consumerist leader of Adbusters talks to Alex Benady about 'culture jamming', empty CSR initiatives and how comms professionals can use the power in their hands for global good. As pressure mounts on the world's resources, brands must reconfigure themselves to be sustainable citizens. Businesses need a binding global climate deal if they are to develop innovative products and services for a greener future. Oliver Tickell, The Ecologist editor, on conspiracy theories, email overload and making an impact. The environmental science book documented the environmental effects of the indiscriminate use of pesticides. It led to the banning of DDT for agricultural use and the setting up of the US Environmental Protection Agency. The UK bimonthly magazine covered environmental issues, engaged activism and ethical living. Contributors included Fritjof Capra, Antony Gormley, James Lovelock and the Dalai Lama. It merged with The Ecologist in 2012. 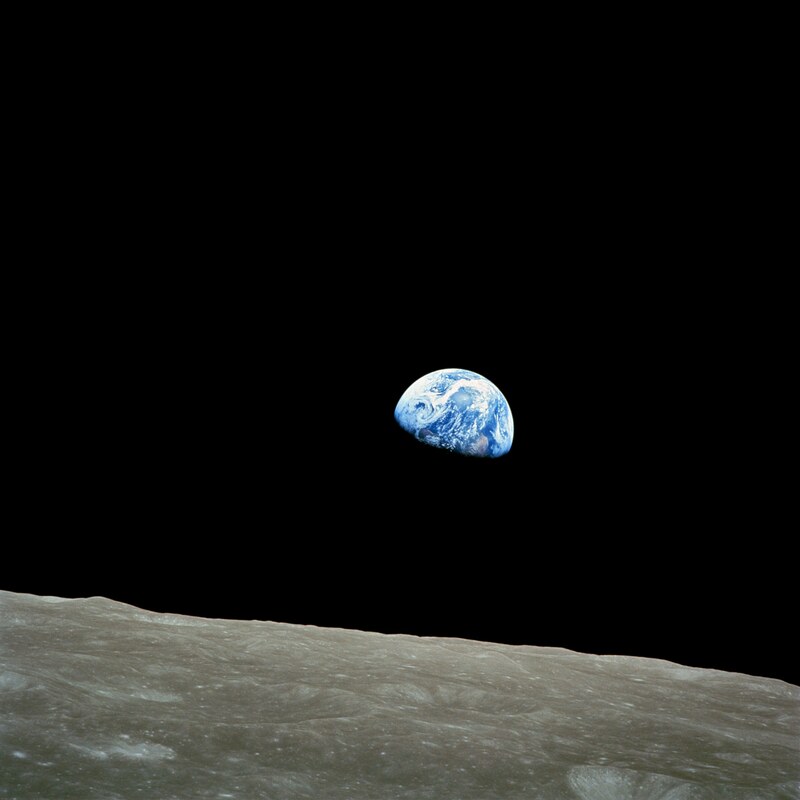 This shot of Earth was taken by astronaut William Anders during the Apollo 8 mission, and has been described as the most influential environmental photograph ever taken. The US counterculture catalogue listed products for a sustainable lifestyle, and was later described by Steve Jobs as the era’s Google for environmentally aware goods. The initial aim was disarmament, with further protests against the use of nuclear power. The movement helped give rise to the green political movement with parties formed in Europe and beyond. The international environmental organisation’s mission is to ensure “the ability of Earth to nurture life in all its diversity”. It counts climate change, wildlife conservation and the use of nuclear power among its causes. Widely seen as a means of reducing congestion and fuel consumption, with successful projects springing up in Europe and the US. 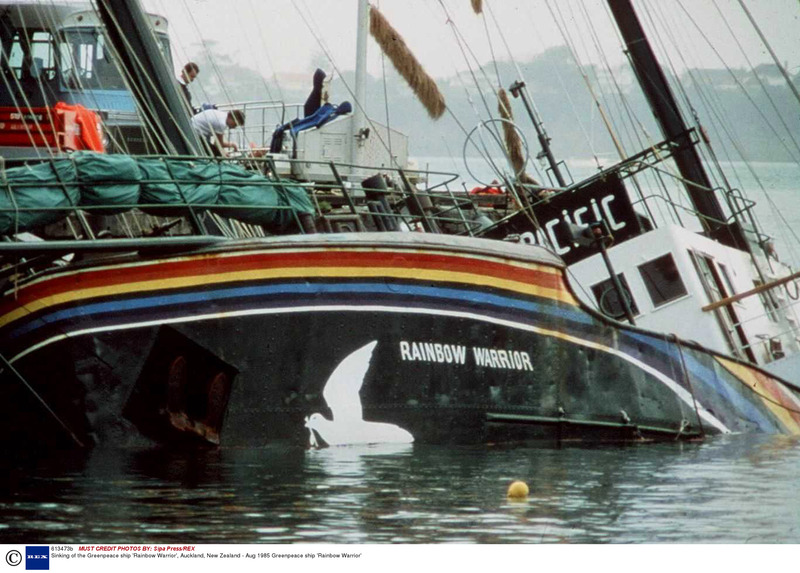 French intelligence operatives sunk the Greenpeace ship in New Zealand amid a protest against a planned nuclear test by France. The phenomenon was detected by British scientists and reported in Nature that year. The book explained the theory that the Earth is a living organism. Professor Jim Hansen, a NASA scientist and climatologist, presented evidence to the US Congress and advocated action on climate change, broadly raising public awareness of the issue. Greenpeace launched a high-profile media campaign to raise awareness of Shell UK’s plans to dispose of its Brent Spa oil storage facility in the open sea. 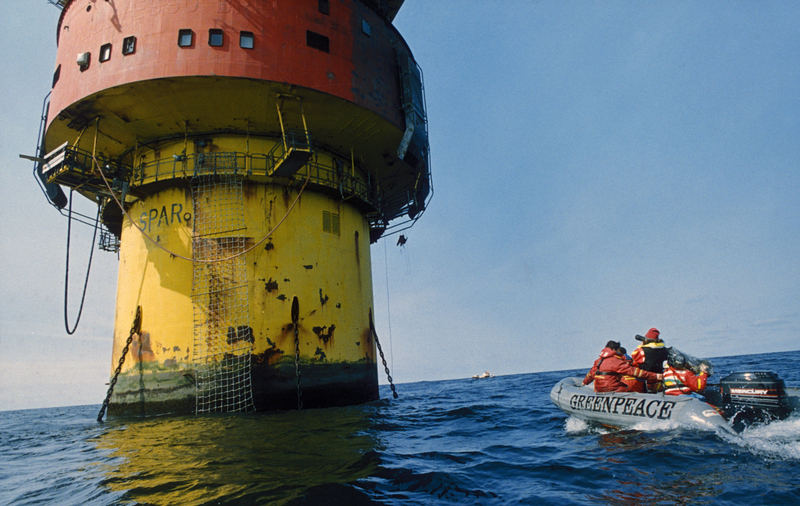 Greenpeace occupied the platform and a public boycott of Shell led to the plans being dropped. Originally organised to prevent the felling of mature trees for a bypass, the camp brought together a wide coalition of the public as well as the notorious protester Swampy. Agricultural firm Monsanto was the key target of campaign groups including GM Freeze, Friends of the Earth and the Soil Association. Campaigns included ‘Frankenfoods’ and crop destruction. Followed anti-globalisation protests in Seattle and described as one of the most influential books ever about the movement. Came into being as a result of campaigns by environmental organisations such as Friends of the Earth. The Act required every local authority in England to provide doorstep recycling facilities by 2010. An environmental event demonstrating the full destructive potential of climate change to the world. The costliest natural disaster ever, with damage estimated at $108bn. Led to the introduction of the Climate Change Act 2008, requiring the Government to cut greenhouse gas emissions by 80 per cent by 2050. The Conservative election campaign saw party leader David Cameron visit a Norwegian glacier to see the effect of climate change in person. Also known as Cameron’s ‘hug a husky’ moment. 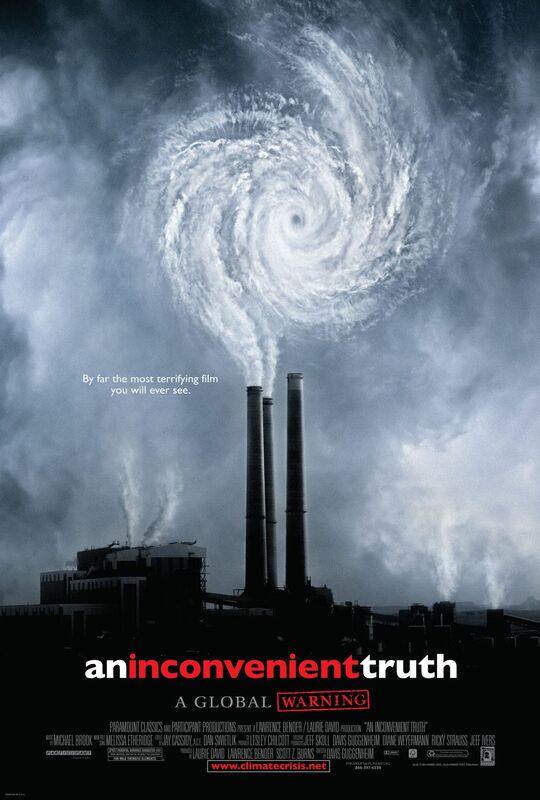 The Academy Award-winning documentary about former US Vice-President Al Gore’s campaign to educate people about climate change. Online petitions began to proliferate, using social media as a means of gaining support for a range of causes, from environmentalism to anti-globalisation.